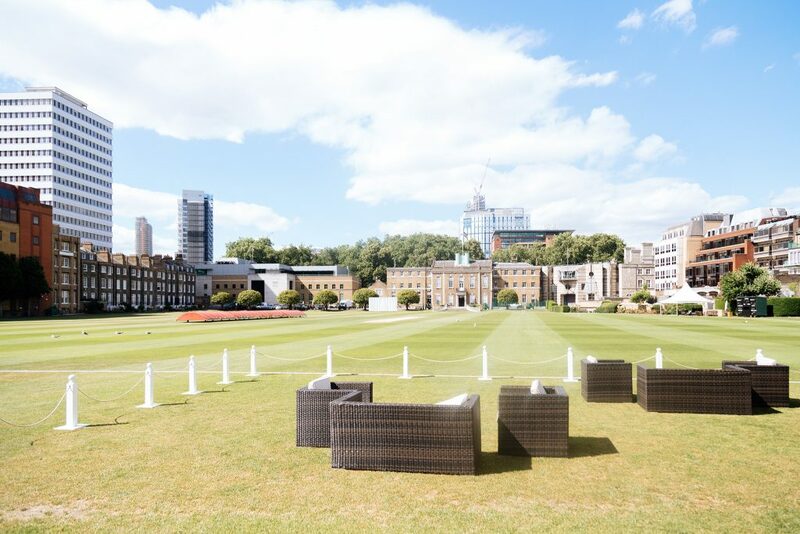 This summer we enjoyed working alongside Ultimate Experience at the HAC, Old Billingsgate and Pavilion at the Tower of London. 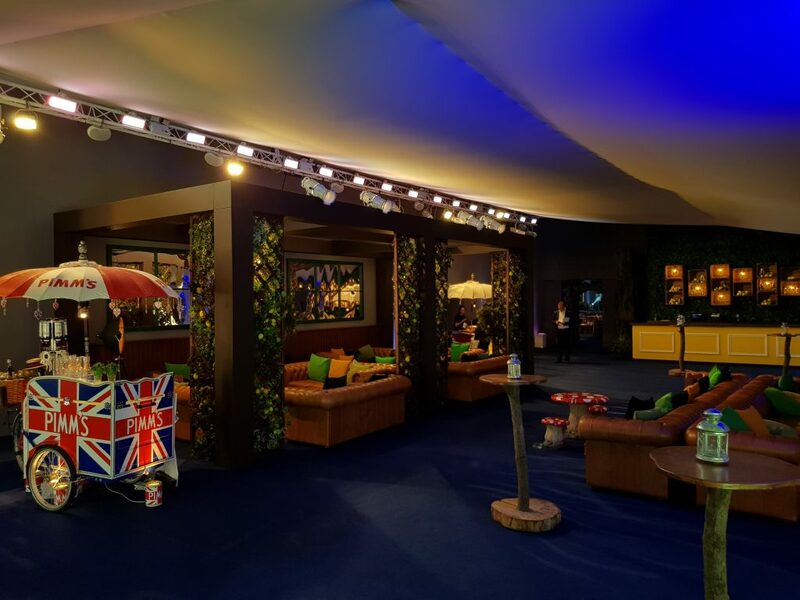 FullCircle channelled the Great British summertime to design and produce events across the party-season. FullCircle were kept busy installing every last element of the detailed designs. Backed by a 100,000 sq. ft. warehouse filled to the brim with design and production gems, nothing was beyond our scope. From navy-blue hues to citrus tones, living walls to Provençal lavender trees, our 2018 summer venue designs upped the heat for a memorable series of sizzling installs. This unique venue is the perfect place to make the most of the Great British summer. Bringing the outdoors in, City Central at the HAC was a riot of sky blues and leafy greens. Inspired by the venue’s industrial aesthetic, the FullCircle design team specified a colour palette of navy-blue hues with brass accents to breathe an air of sophistication and luxury into Old Billingsgate. An angular installation with globe-like light fittings was a nod to the kinetic art structures of Alexander Calder further complementing the space. 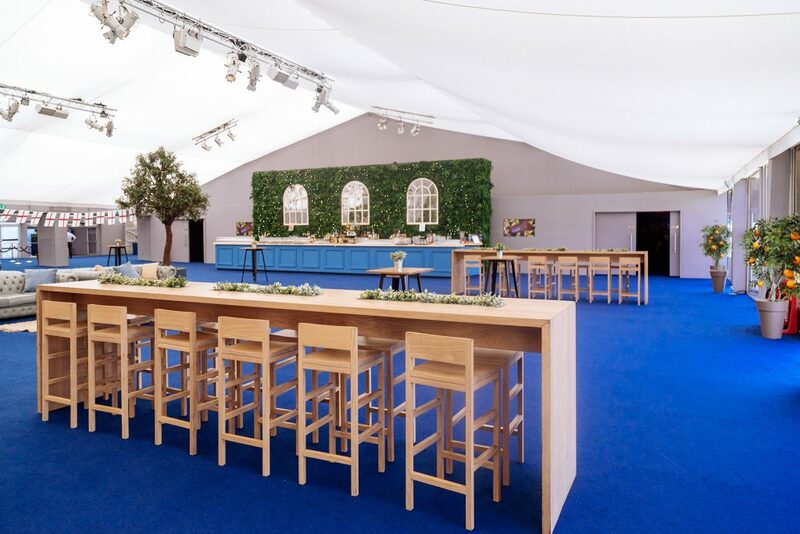 This summer Pavilion at the Tower of London was transformed into a stunning Italian setting. 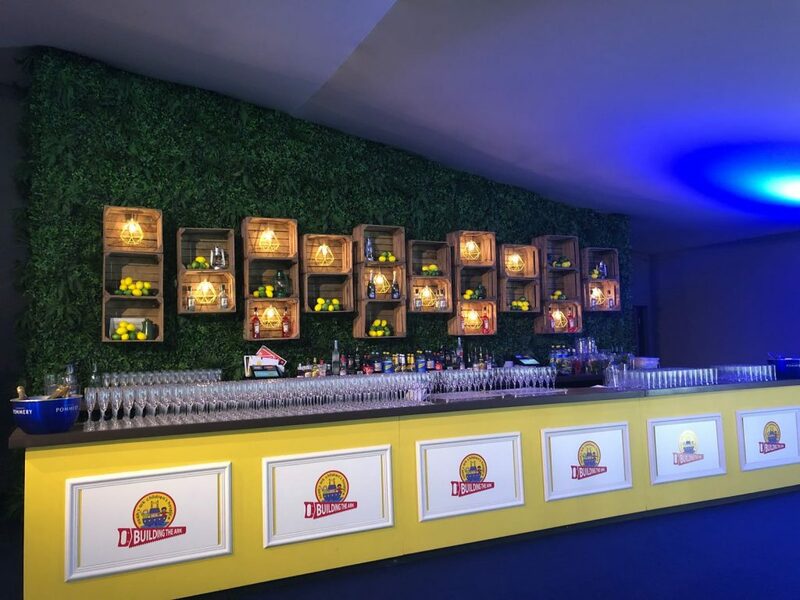 Guests were encouraged to relax in comfortable chesterfield sofas underneath the venue’s very own Lemon Grove, adorned with creeping foliage. A seven-metre faux living wall dominated the reception area, complemented by bursts of citrus tones to brighten up the venue throughout. With FullCircle’s technical expertise, experience and skill, our partner venues were certainly impressed the summer.